Scheduled for Saturday June 20th is Dr. Joseph Crane and his wife Robbie who will be with us on the phone from Lakehills Texas 9-11pm Central then Marshall Vian Summers will join us by telephone from his home in Boulder Colorado from 11pm-1am Central. Show archives/podcasts become available immediately after the conclusion of each hour. My numerous angelic visitations have given me several methods to assist in healing, including: Gate of Grace, Grace Therapy, Angelic Armor, Healing and Anointing Oils, Acutuning, and more. Using these methods, I have assisted hundreds with their physical, mental, emotional, and spiritual ailments. I have been speaking to the angelic realm and being the liaison between their world and ours for the last eight years. My mission is to enlighten and introduce health to everyone. Through angelic visitations, angels have given me numerous methods to assist people in healing. These include creation of the Gate of Grace, Grace Therapy, Angelic Armor, Healing & Anointing Oils, Acutuning, and Angel Gate Readings. Using these modalities Joseph has assisted many with their physical, mental, and emotional issues. Joseph holds everyone as a perfect child of God, created in God’s own image and likeness. We are all perfect, whole and complete. 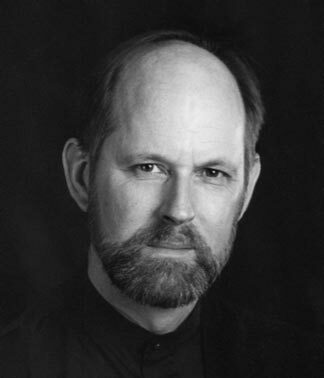 Marshall Vian Summers was sent into the world to receive a New Message from God. He was prepared over a very long time to become its Messenger. His life gave him opportunities to gain a fundamental education about the world, to learn about relationships and self-expression and to develop his awareness of the human condition. He was ignited spiritually at an early age, especially through his experiences in nature. As a young man, his journeys through the wilderness of North America continued his mysterious education. After graduating from the university, he became a teacher for blind children. During this time he began to experience and rely upon an Inner Voice to guide him in his work. Acknowledged for his talents in the field of special education, he was offered the opportunity to make this his life’s work. Yet the Inner Voice compelled him to decline and to re-enter the wilderness for many months. Following this time of reckoning and relinquishment, he returned to the world of people and culture and began to teach the principles of Self Knowledge, which he did for seven years. In 1982, at the age of 33, he had a direct encounter with the Unseen Ones, the Angelic Presence who had been guiding and preparing him all along. This encounter forever altered the course of his life and initiated him into a deeper relationship with them, requiring that he surrender his life to God. Soon after this encounter, Marshall knew he had to leave his students and his teaching, his relationships and his home in the city to wander again. This was a difficult, inexplicable and solitary period for him. His wandering led him to retreat in the desert of the American Southwest where the Angelic Presence came to him again. And so began the long mysterious process of receiving God’s New Message for humanity. During the years that followed, Marshall’s role as a teacher had to evolve so that he, as the one destined to become the receiver of the New Message and its Messenger, would be ready. He had to have enough worldly wisdom and enough skill and integrity as a communicator, as a teacher and as one who is visionary and who has insight, to be able to receive a Message of this magnitude given over a very long period of time. He had to learn about the reality and spirituality of intelligent life in the Universe, which in the New Message is called the Greater Community. In addition, he had to be able to endure thousands of hours of direct contact with the Angelic Presence, receiving and recording the New Message from God. This put a great strain upon him, both mentally and physically. It is a process that few in the world today understand. Even though Marshall Vian Summers was sent into the world destined to be the Messenger, he would not know this for many years. It would only be revealed to him much later, in the latter stages of receiving the New Message itself. For there is always the risk of the Messenger failing—by tampering with the Message, denying the Message or being unable to make the ongoing sacrifices required to receive and present the Message. Therefore, it was necessary that Marshall reach a level of individual maturity and wisdom in order to receive the greater mission and calling which were his to claim. Though he has carried the weight and responsibility of this new Revelation for many years, Marshall Vian Summers has maintained his humility and humanity throughout his long and inexplicable journey of bringing a new message from God into the world. No messenger has ever been able to do this alone. Thus, a mysterious sequence of events led people to him. The first to find and join him was his wife, who has supported him since 1983 and has made her own sacrifices to ensure that the New Message could be delivered. Over the years, a small group of individuals, one by one, followed a calling which ultimately led them to take up their position to support this great work. He also has been blessed with a son, who has now chosen to join him in his mission. Now, after years of working quietly without worldly recognition, the time has come for him and those called to help him to bring the gift of the New Message to humanity at this time of great change and uncertainty.